Login the product main window. 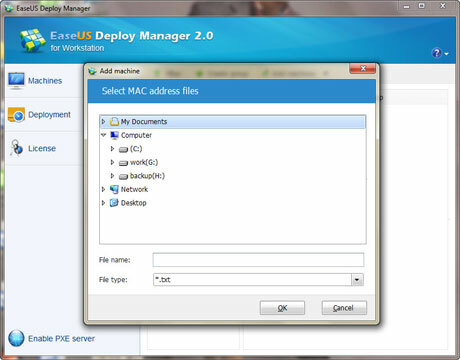 It includes the main features in the left pane and the operations are displayed in the right pane. 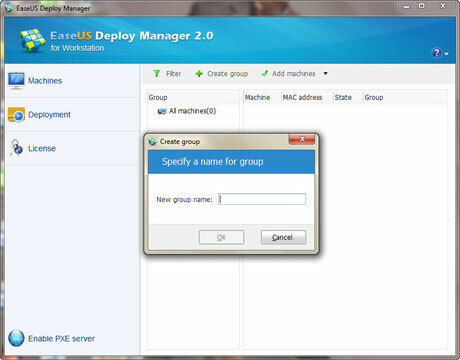 It manages the clients with machine groups. By default, there is a group All machines. You can add your own group for machine management by clicking Create group. 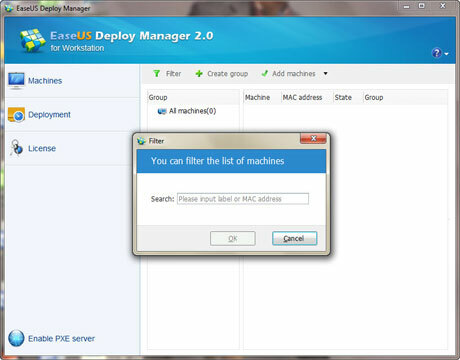 1.From file – Import a machine list file to add multiple machines. 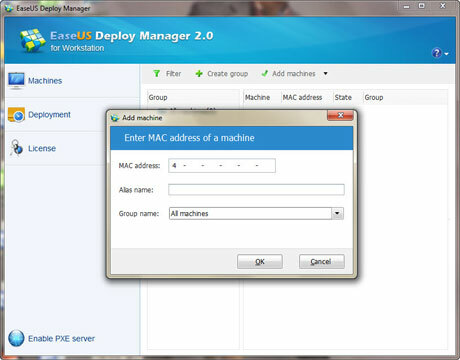 2.By Mac address - Input the Machine’s MAC address, Alias name, and choose the Group to add a single machine. 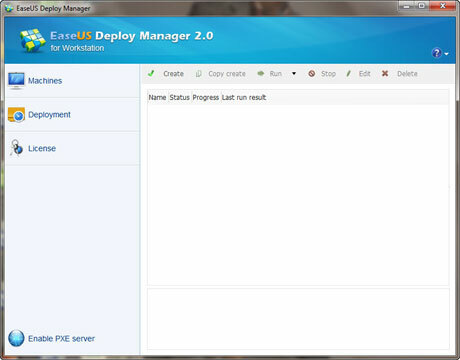 In the Deployment page, it lists the deployment tasks that you previously created with EaseUS Deploy Manager. 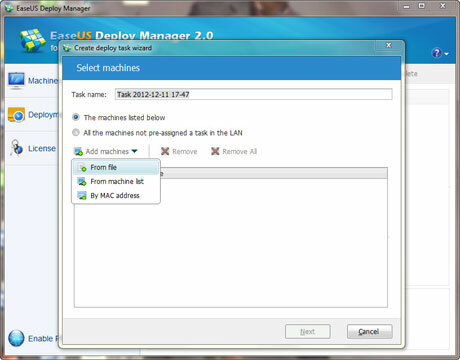 Select the machines to deploy the backup tasks. 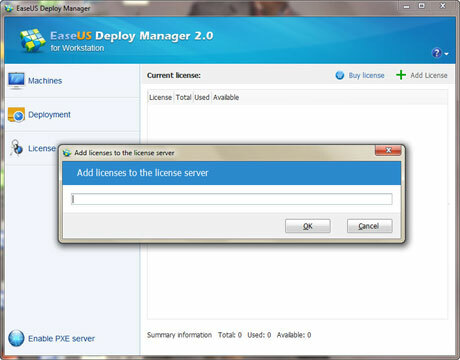 A license will be used once a machine boot into EaseUS Deploy Manager recovery environment. Available license will display here in the panel.